Can you guys tell me if my settings look right? Parts are as per signature... I'm at 3.8GHz and seems to be fully stable to me ( I have load tested for an hour) and play games and everything no problem so it seems good to me. 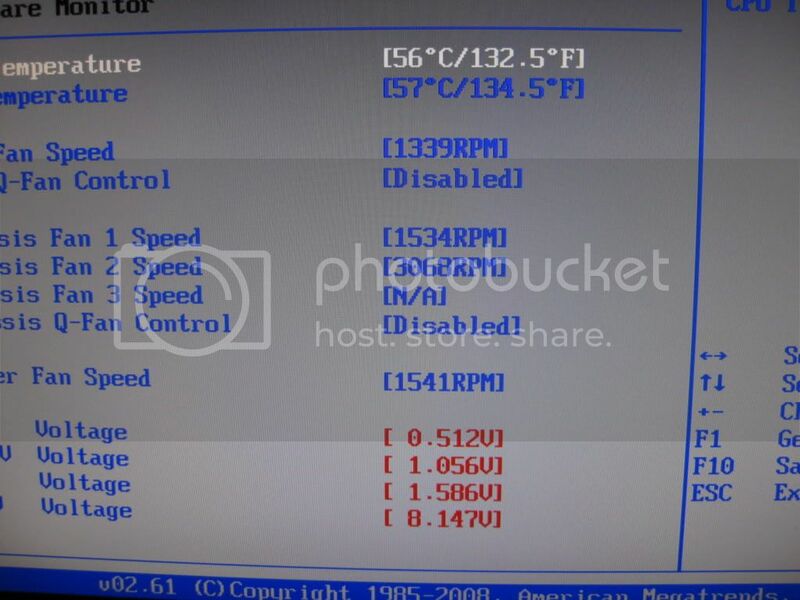 My temps also don't read past low to mid 50's in coretemp or realtemp.. And look at my BIOS temps... wtf? However, my voltages are wacked in the BIOS, I don't believe them at ALL. They're so messed up that my PC shouldn't be running if they were actually what this says it is, so I have been ignoring it. I read about a P6T deluxe user who also had wacked voltages, and he swapped his PSU and it changed nothing, so I'm going to ignore it. PCP&C Silencer 750w and my voltages in my last mobo (2 weeks ago) were solid perfect. I'm not going to RMA it just for this... it works FINE, but anyone else have this prob? And finally, here are my OC settings, How are they? Anything I should change? Thanks. Could be a dirty power source, maybe not the psu itself but the actual power in your house. A UPS may solve it but it could just be a bad board. 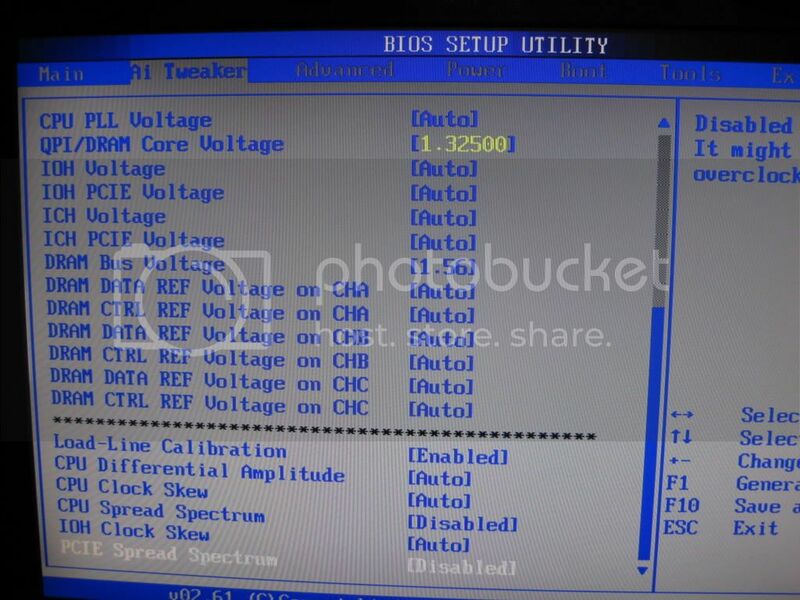 Have you flashed the bios? Or measured the volts on the board with a multimiter? Looks like the sensors are just reading wrong. Last edited by Jake_HT; February 7, 2009 at 10:30 AM. 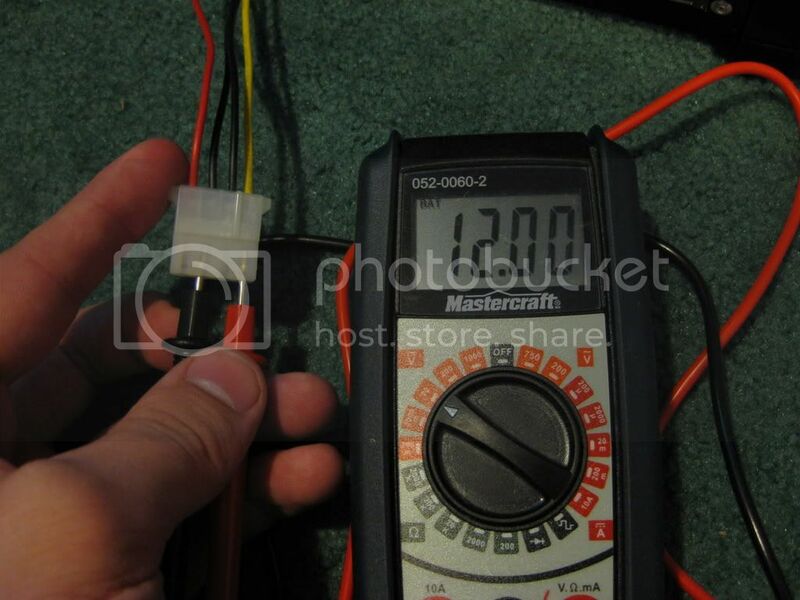 How do your component voltage readings (in bios) compare to what you've got set? 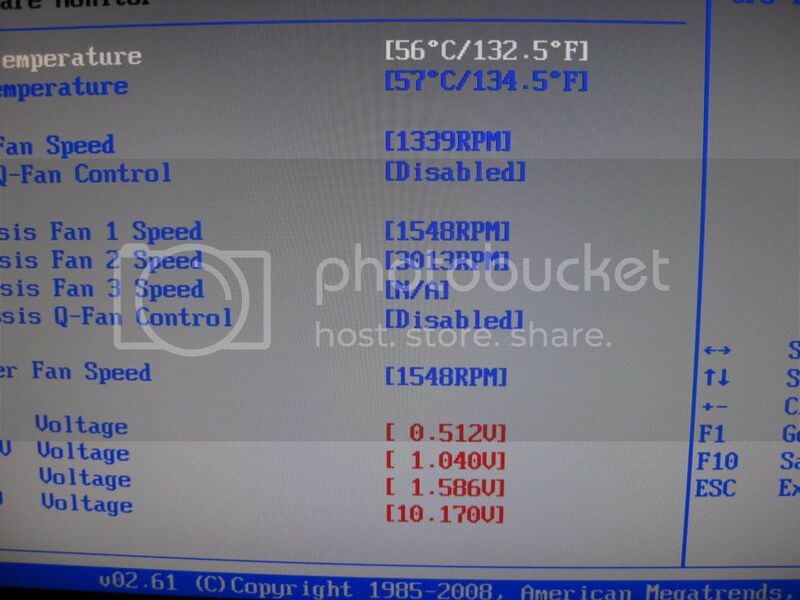 As far as your temps go.... what are your idle/load core temps? Every bios I've ever played with reported "CPU" temp vice "Core" temp which I've never had a good explaination of what it actually is. AFAIK, when reading bios you're also not seeing an Idle temp.... there is a load of some form. Coretemp is about 2 deg higher. 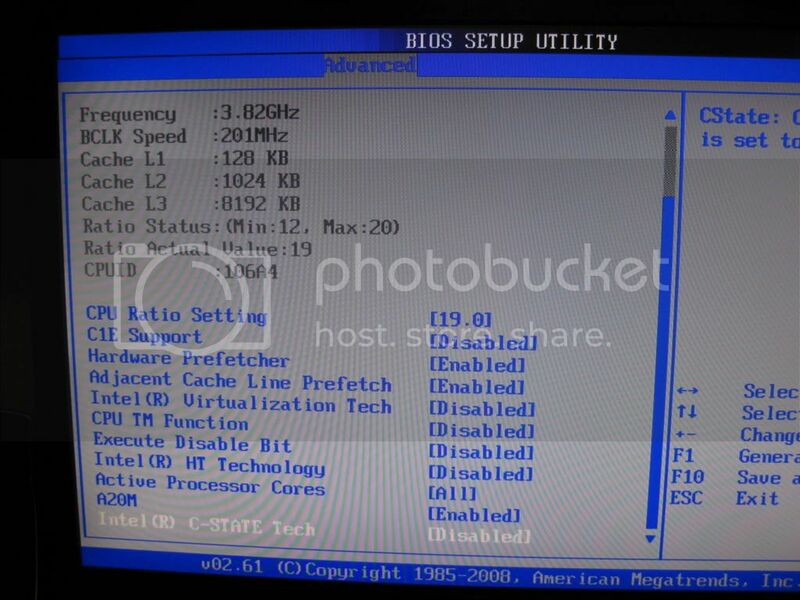 "How do your component voltage readings (in bios) compare to what you've got set?" 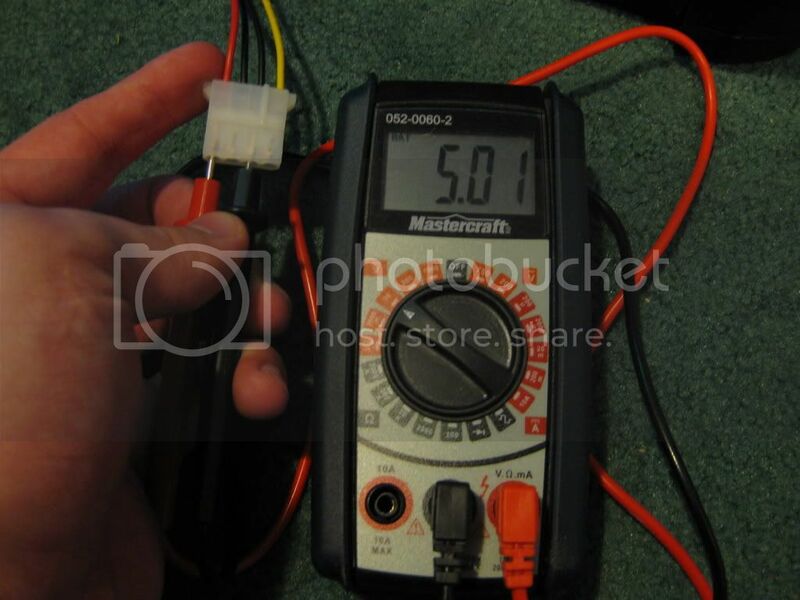 What should I use to check other voltages? 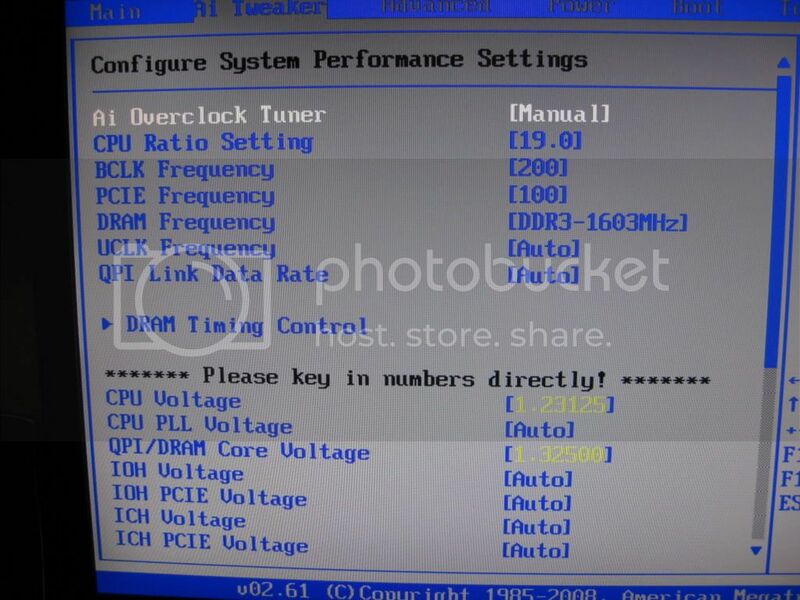 Also tested on 4 pin motherboard connector that I'm not using (I use 8pin) and it's getting 11.99v also..
Last edited by Jake_HT; February 6, 2009 at 03:01 PM.